Doyle, Richard J. et al. "Globe and Mail". The Canadian Encyclopedia, 10 April 2017, Historica Canada. https://www.thecanadianencyclopedia.ca/en/article/globe-and-mail. Accessed 21 April 2019. The Globe and Mail, Toronto, was founded in 1936 when George McCullagh united two influential and historically important dailies, The Globe and The Mail and Empire. From the beginning, the new newspaper took on the character of the old Globe. The Globe and Mail, Toronto, was founded in 1936 when George McCullagh united two influential and historically important dailies, The Globe and The Mail and Empire. From the beginning, the new newspaper took on the character of the old Globe. 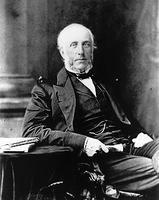 George Brown launched the Globe in 1844 with the support of a group of Reform Liberals. 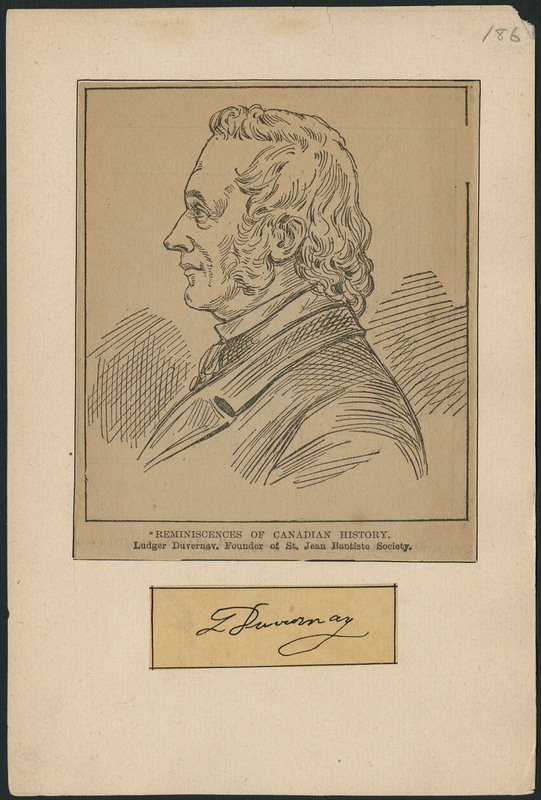 Although at first a party journal, the Globe quickly became required reading for the educated and business community in Toronto and the surrounding countryside through a shrewd mixture of news, features, forceful editorials and technological innovation. By 1853 the four-page paper had become a daily with a weekly edition for out-of-town subscribers; in 1876 Brown commissioned early-morning trains to Hamilton and later London, and absorbed mailing costs for the daily Globe. As new presses and cheap paper enabled the journal to expand in size, the first women's section was added in 1882 and, within a decade, drawings and photoengravings. By 1900 the Globe was established as a quality paper attractive to advertisers, and with a combined circulation for all editions of 69 545. Just after the turn of the century, it added the words "Canada's National Newspaper" to its masthead and began its pursuit of readers in all parts of the country. Meanwhile, The Mail had been established as a Conservative party organ in 1872, and in 1895 it absorbed another Tory paper, The Empire. In 1900 The Mail and Empire boasted a circulation of 61 720. McCullagh purchased The Globe and The Mail and Empire within weeks of each other before merging them. As an independent publication, The Globe and Mail became the flagship of FP Publications' chain of newspapers in 1965 with a strong emphasis placed on the Report on Business section. In 1980 it was bought by Thomson Corp. It has become a journal of record as well as of the business, political and cultural communities. As a "writer's newspaper,"The Globe and Mail has given skilled journalists such as Jeffrey Simpson and Michael Valpy the opportunity to practise their craft. An average readership of one million on any given day (the Globe does not publish on Sunday) puts the newspaper among the country's most popular dailies. The national edition (there is a separate one for the Metro Toronto area), with Report on Business, is beamed by satellite six days a week to printing facilities across the country. The Globe also publishes the Report on Business magazine once a month. Staff reporters are based in several Canadian cities and foreign bureaus are located in London, Moscow, Beijing, Rome, Jerusalem, Johannesburg, New Delhi, New York and Washington. In 2001, a decision by the Competition Bureau cleared the way for Bell Canada Enterprises Inc to take a majority ownership position in the Globe, making it part of its Bell Globemedia division which also includes the CTV network and various internet ventures (see Media Convergence). In 2005, Bell Canada Enterprises Inc reduced its stake in Bell Globemedia to 20 per cent. The Globe and MailThe website for The Globe and Mail newspaper. Richard James Doyle, O.C.Tributes paid to The Honourable Richard James Doyle, O.C. from the Parliament of Canada website.